Temporomandibular joint disorder, called TMJ or TMD, is a common problem that can cause a wide range of unpleasant symptoms. Your jaw is at the crossroads of major nerves, important muscles, vital blood vessels, and your airway, so problems here can have far-reaching effects. Since many TMD symptoms may be caused by a variety of other health problems and may be far from the jaw, TMD can be difficult to diagnose. 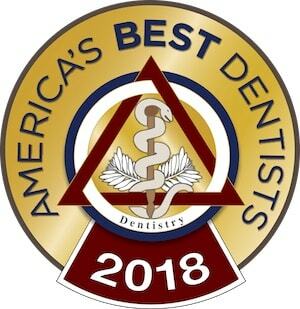 Columbus, Ohio TMJ dentist, Dr. Michael Firouzian, can help alleviate TMD symptoms, reducing your discomfort and improving your quality of life. If you know or suspect that TMJ may be responsible for symptoms like headaches, jaw pain, or earaches, we can help. Please call (614) 848-5001 or email Firouzian Dentistry today for an appointment. The temporomandibular joint (often abbreviated TMJ) is the joint in the jaw where the mandible, or lower jaw, meets the temporal bone in the skull. The alignment of the joint is largely determined by the way the teeth in the upper jaw align with the teeth in the lower jaw. This is commonly referred to as the “bite,” and a misaligned bite, or malocclusion, is a major cause of TMD. Jaw dysfunction can cause jaw-related symptoms. Jaw pain, jaw sounds, and problems with jaw movement are all common in this condition. Because the jaw joint is at an important intersection of the body, symptoms can also be far-reaching. Diagnosing TMJ can be a challenge. We utilize a scientific, high-tech approach called neuromuscular dentistry that produces verifiable, objective data that can guide treatment. The K-7 system allows us to gather comprehensive data about the function of your jaw. Amplified sound analysis, muscle tension measurements, and precise jaw tracking help determine the nature of your TMJ. We may also use imaging such as an MRI or CT scan to view your jaw tissues in detail. Kinetisense motion tracking allows us to see the impact of TMJ beyond your jaw. By taking detailed pictures of your body in motion and remaining still, this technology allows us to see how TMJ imbalance impacts the entire body. Because we collect this comprehensive suite of data, we can distinguish TMJ from other conditions with overlapping symptoms. There are many potential treatments for TMJ. Sometimes minor muscle massage using TENS (transcutaneous electric nerve stimulation) gives relief. Other times, this is simply a necessary step that helps us diagnose what’s really wrong with your bite. In many cases, correcting the bite can alleviate TMD. We may begin with temporary bite treatments, such as an orthotic or splint (similar to a sports mouth guard) that you wear at night. If you like the results but want to get rid of the splint, we might adjust the bite permanently using dental restorations or orthodontics. For more information, see TMJ Treatment Options . Some of these symptoms can be related to much more serious conditions, so it is important to have a doctor evaluate your case to ensure there are no other medical conditions present. If the symptoms remain unexplained, TMD may be the culprit. Learn more from our patients’ Questions about TMJ. If you suspect TMJ might be responsible for these symptoms, please call (614) 848-5001 or contact Firouzian Dentistry in Columbus, OH.